Located on the first floor of Rotary House in the North Adelaide residential care home. All deluxe single rooms are furnished with electric bed, pressure relieving mattresses, bedside table, built in wardrobes, lockable storage and individually controlled heating/cooling systems. The room has provisions for telephone, television, personal computers and bar fridge. The finish and quality of the rooms are of a good standard. All rooms are equipped with Nurse Call points, wide doors, fabric curtains and carpet. Rooms overlook courtyard gardens or street front garden beds. Rooms are designed with a small selection of furniture to encourage residents to furnish rooms with their own personal affects and pieces. This is to encourage a home like environment as much as possible. Maximum price for room: The maximum price that you can be charged for this room is a refundable deposit of $515,000.00 or daily payments of $89.73 or a combination of both. Explanation of payment options: Residents are able to pay for their accommodation as either a refundable deposit, daily payment, or combination of both. A refundable deposit is paid as a lump sum amount. A daily payment accrues daily and is paid monthly. A combination payment includes both a partial lump sum and daily payment. Please note, daily care fees are not incorporated within the accommodation charge but are applicable. Example of a combination payment for room: For this room a resident could pay, for example, 50% of the price by a refundable deposit of $257,500.00 and 50% of the price by daily payments of $44.86. Common areas: North Adelaide care home is the only residential facility of its kind boasting an exclusive inner city location. Rotary House first floor comprises of 28 rooms, 3 dining rooms and 3 lounges. Residents are able to access all other facililities and services offered on site, including the community centre, cafe, BBQ area, hair salon, library, chapel, internet cafe and gift shop. Additional care or services included in the room price: North Adelaide offers 24 hour nursing and personal care, therapy services, laundry and linen services, room cleaning and diversional therapy. Meals are prepared onsite daily. Optional additional care or services not included in the room price, charged at extra cost: The site incorporates a hair dressing salon, also offering beauty therapy services and cafe. The North Adelaide Auxiliary also operates a popular gift shop knows as Penny's Lane, which offers a range of gifts, treats and soft furnishings for residents. Located on the first floor of Rotary House in the North Adelaide residential care home, the Companion Rooms areideally suited to a couple. Rooms include a separate private lounge area within the living quarters. Rooms are furnished with electric bed, built in wardrobes, lockable storage and individually controlled heating/cooling systems. All rooms are equipped with Nurse Call points, wide doors, fabric curtains and carpet. Maximum price for room: The maximum price that you can be charged for this room is a refundable deposit of $330,000.00 or daily payments of $57.50 or a combination of both.  Example of a combination payment for room: For this room a resident could pay, for example, 50% of the price by a refundable deposit of $165,000.00 and 50% of the price by daily payments of $28.75. 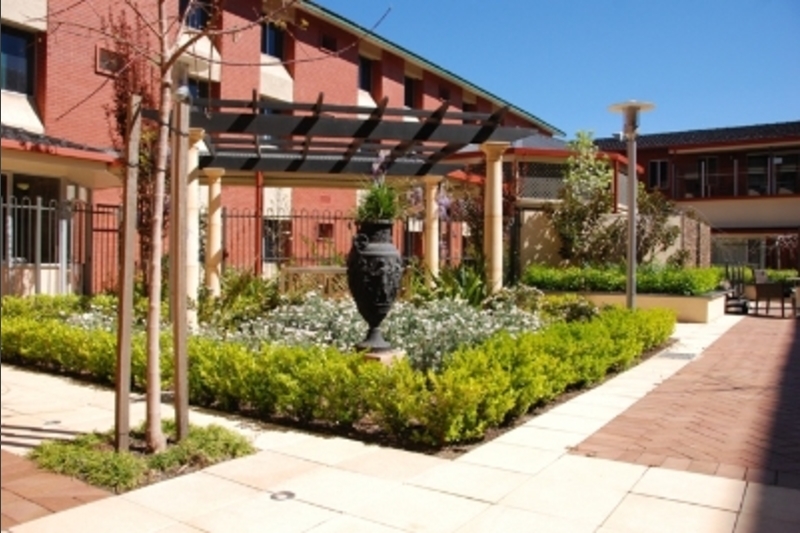 Garden Court is located on the ground floor of Rotary House in the North Adelaide residential care home. All deluxe single rooms are furnished with electric bed, built in wardrobes, lockable storage and individually controlled heating/cooling systems. Common areas: Garden Court is a secure living area, with 20 single rooms. Within the secure area residents are able to access four lounges and two dining rooms - including an alfresco dining terrace. A beautiful landscaped environment, including a Gazebo is also accessible within the wing. Located on the 3rd floor of Rotary House in the North Adelaide residential care home these rooms are offered with Extra Services. These beautifully appointed rooms offer designer selected superior decor and fittings and floor coverings. Rooms incorporate large midfloor to ceiling windows which overlook the garden courtyards or attractive vistas. Rooms are furnished with electric bed, bed side tables, built in wardrobes, lockable storage, inbuilt display cabinets and individually controlled heating/cooling systems. The rooms have provisions for telephone, television, personal computers and bar fridge. The finish and quality of the rooms are of a high standard. Tea and coffee making facilities are also provided in residents rooms. Common areas: North Adelaide care home is the only residential facility of its kind boasting an exclusive inner city location. Rotary House 3rd floor comprises of 13 rooms, 3 lounges and a large dining room. Residents are able to access all other facililities and services offered on site, including the community centre, cafe, BBQ area, hair salon, library, chapel, internet cafe and gift shop. Special accommodation or design features of the room or home: All extra service clients can access the overnight stay apartment for visiting friends of relatives of the resident located on the he 2nd Floor of Rotary House - Conditions and fees are applicable. Optional additional care or services not included in the room price, charged at extra cost: The site incorporates a hair dressing salon, also offering beauty therapy services (included in extra service rate) and cafe. Located on the first floor of Rotary House in the North Adelaide residential care home. All deluxe suites include a separate private lounge area within the living quarters. Rooms are furnished with electric bed, built in wardrobes, lockable storage and individually controlled heating/cooling systems. Located on the 2nd and 3rd floor of Rotary House in the North Adelaide residential care home. All deluxe suites are offered with Extra Services. These beautifully appointed rooms offer designer selected superior decor and fittings and floor coverings. All rooms incorporate a separate private lounge area within the living quarters and large midfloor to ceiling windows which overlook the garden courtyards or attractive vistas. Rooms are furnished with electric bed, bed side tables, built in wardrobes, lockable storage, inbuilt display cabinets and individually controlled heating/cooling systems. Maximum price for room: The maximum price that you can be charged for this room is a refundable deposit of $750,000.00 or daily payments of $130.68 or a combination of both. Example of a combination payment for room: For this room a resident could pay, for example, 50% of the price by a refundable deposit of $375,000.00 and 50% of the price by daily payments of $65.34. Common areas: North Adelaide care home is the only residential facility of its kind boasting an exclusive inner city location. Rotary House 2nd floor comprises of 22 rooms, 2 dining rooms and 2 lounges. The 3rd floor comprises of 13 rooms, 3 lounges and a large dining room. 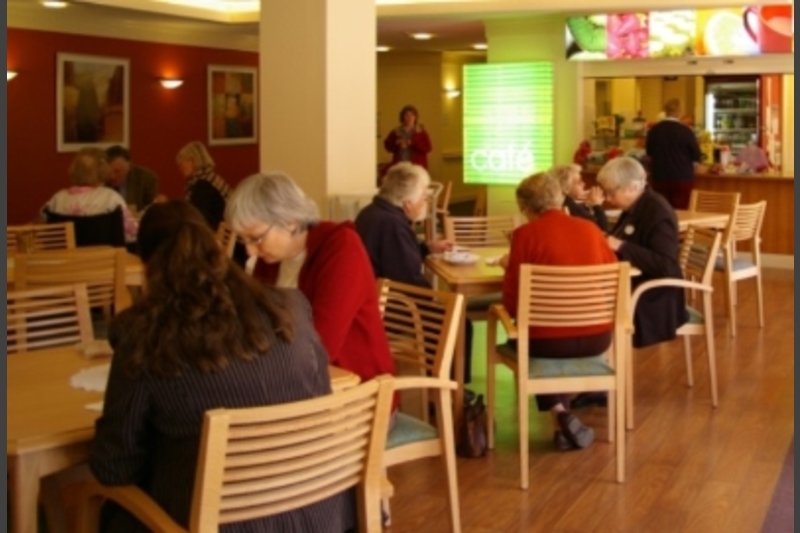 Residents are able to access all other facililities and services offered on site, including the community centre, cafe, BBQ area, hair salon, library, chapel, internet cafe and gift shop. 49 Buxton Street, NORTH ADELAIDE, SA, 5006.